“Runimalz is a videogame of the “Toys to life”, that is titles that mix physical toys with an interface that allows them to be transported within the game. The characters are a strange mix between animals and vehicles: they can be positioned on a special board to launch them in races against time and against the elements, to fight each other or to evolve. In short, a cross between Pokémon and Hot Wheels. 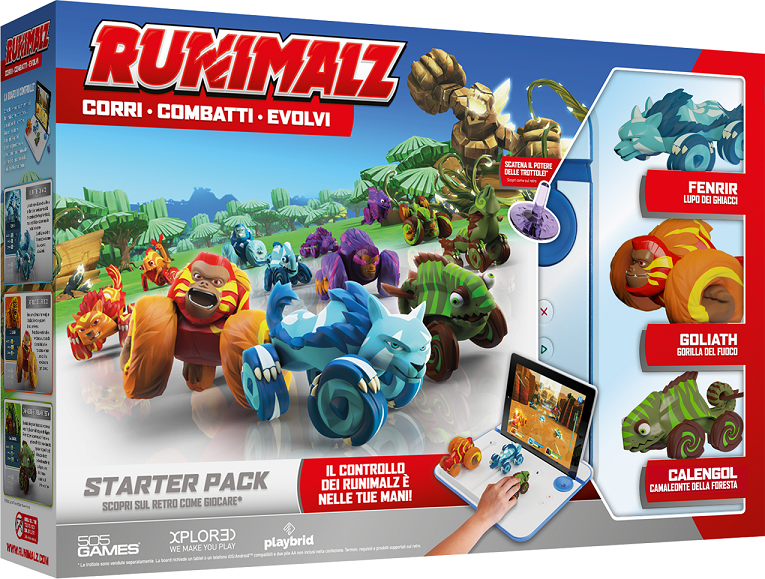 The Runimalz basic set costs 50 euros and contains the basis for the game and three creatures Fenrir, the Ice Wolf, Goliath, the Fire Gorilla and Galengol, the Chameleon of the Forests. Also available are other creatures and special upgrade spins sold individually to expand their collection.